Business credit cards are similar to personal credit cards and allow companies to borrow money to use for spending on goods and services, in exchange for interest payments or annual fees. Credit cards usually feature a credit limit, which prevents holders from borrowing more than a certain amount in a calendar year. Why do small businesses get credit cards? What should small businesses look for in a credit card? This means that a business making this investment should seek out the biggest possible rewards for their money, regardless of the type of purchase reward the card offers. For example, a card that offers two-times the amount of dollars spent on a purchase in points (often expressed simply as 2X points by credit card companies) is more rewarding than one that offers one point per $1 spent. Points, travel miles, and cash back all sound great. However, if they can’t be redeemed conveniently to cover purchases they’re not useful. 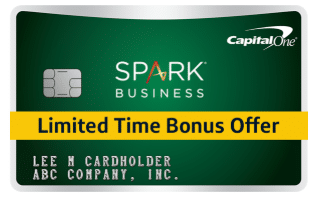 For example, the Spark Miles for Business card from Capital One wasn’t always as sought after as it is now. Prior to November 2018, cardholders couldn’t transfer their miles to travel partners like airline frequent flyer programs, which limited its value. However, Spark Miles cardholders can now transfer their miles to any of twelve different airlines, making them far more flexible and, ultimately, useable. Some credit card companies have great partnerships – meaning points or miles can be redeemed for a variety of privileges. American Express is notorious for this and carrying an Amex card often entitles holders to great deals at hotels or important upgrades. Small businesses considering their options should, therefore, pay attention to the benefits a card features, as these can be valuable perks that employees may also enjoy. Credit cards usually offer just one of these types of rewards. When considering which business card to choose, owners should consider carefully what they want out of their card and what will benefit them most. For example, if employees don’t travel much (and most is in-state anyway) then travel miles might not make the most sense. If employees or executive officers travel often, however, a card offering travel mile rewards may seem like a better option. Some credit cards reward cardholders more or less favorably for spending in certain categories. For example, the SimplyCash® Plus Business Credit Card from American Express offers 5% cash back on goods and services from US office supply stores. In this case, “US office supply stores” is considered the purchase or reward category. These different areas may be rewarded at different levels by credit card providers. A card might offer 5% cash back on travel purchases, but only 3% on gas, for example. As a result, businesses should consider carefully where they spend most of their money and look for a credit card that favors that category of spending. Some credit cards offer introductory APR levels that are more generous than their standard rate to encourage sign-ups. In practice, most cards that do this drop the APR entirely, with a 0.0% rate for a given period, usually between three to six months (though sometimes longer). While this is useful to any business that wants to save money, these cut introductory rates are particularly good for new startups who aren’t yet bringing in much money. They can use the card for purchases that will fuel their growth while not having to pay any interest until several months later when they’ve hopefully started to bring in more revenue. Small businesses with less available cash flow should consider a card with this approach to APR. Of course, introductory periods don’t last forever and not every card has one. Paying attention to what providers call the “standard APR” rate – which just means the amount of interest on the balance a cardholder usually pays – can save a considerable amount of money. As a guideline, an APR towards the ten percent mark is considered very affordable for a business card, while an APR of 22% or higher is generally considered fairly expensive. Cards at those higher rates are usually meant for companies with weaker credit scores (a measure of how likely debt specialists think they are to keep up with payments) and generally have fewer exciting benefits and lower rewards. An annual fee is a charge paid by the cardholder to be able to use the card. It’s a single flat payment due once per year. Some cards don’t have one, while others charge several hundred dollars. The average is just under $100. It’s common for some card companies to wave the annual fee for the first year the account is open. When deciding on which card to apply for, the size of the annual fee should be weighed against the company’s ability to pay. Many small businesses share a common set of frequent expenses. As a result, some providers now offer credit cards specifically developed for small businesses. After carefully reviewing the available options, the SimplyCash® Plus Business Credit Card from American Express emerged as the best choice for small businesses with these spending patterns. This is a cash back business credit card with tiered purchase categories offering different reward levels. There’s also 0% APR for the first nine months, which is second only to The Blue Business℠ Plus Credit Card from American Express which offers fifteen months at zero percent APR. This makes the card even more affordable for local businesses, who may have emergency spending to take care of and wish to defer card payments until a later date. See full SimplyCash Plus Business review here. 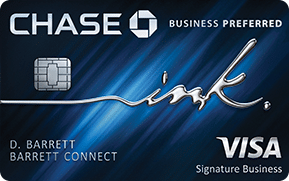 Based upon these characteristics, the Ink Business Preferred Credit Card from Chase appears to be the best option for small online businesses currently on the market. This points-based card offers significant travel benefits and rewards spending on online advertising. All of these categories are potentially very useful to eCommerce companies, particularly shipping and online advertising. Although this drops to 1X points after the first $150,000, that’s quite high spending that many small enterprises will struggle to meet, so it may not be a big issue. The fringe benefits and ability to redeem points towards sporting and cultural events can also be a present bonus for cash-strapped online entrepreneurs who may have tight budgets. See full Chase Ink Business Preferred review here. This cash back card has relatively few rewards but opens the door to credit for those without an excellent rating. While not just anyone can get this card – it’s for businesses only – and it does require at least a fair credit score, it does provide a path to better creditworthiness. Although this card may not offer an incredible range of additional benefits or particularly strong cash back incentives, it provides the simple access to business credit that many may struggle to find elsewhere and offers them a route to more selective cards in the future. The simple cash back system also has the advantage of being easy to grasp, meaning business owners won’t have to spend their time poring over fine print to understand how to make the most of their card. As the Spark® Classic for Business offers 1X cashback on all business purchases, everything the business buys can count towards that reward. See full Capital One Spark Classic for Business review here. Not every startup has hundreds of thousands of dollars in funding, or billionaire angel investors to call upon. For these companies, a business credit card can be a useful lifeline as they get off the ground. The Blue Business℠ Plus Credit Card from American Express may be the best card for these requirements. With no annual fee and a long intro APR period of fifteen months from account opening at zero percent, this card is extremely affordable in the initial stages of a startup’s life when cash is at a premium. 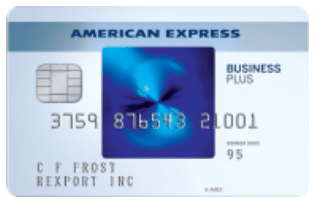 As an American Express card, this card has valuable membership rewards, particularly for the Amex travel rewards program with benefits like preferential treatment at Starwood hotels. The Blue Business℠ Plus card also features all the standard fringe benefits to be expected, like free employee cards. 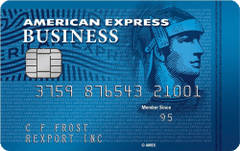 See full Blue Business Plus from American Express review here. 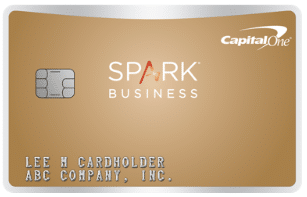 While it requires better credit to get, the Spark Cash for Business card offers better cash back terms than other cards in the Spark range like the Spark® Classic for Business, which only offers one percent cash back on all purchases. This card may suit businesses who don’t care about complicated reward systems or travel perks and prefer a simpler cash back system. The 2% cash back on all business purchases arguably the main reason this card is attractive. Innovative startups with unusual spending needs that don’t match up neatly with categories. 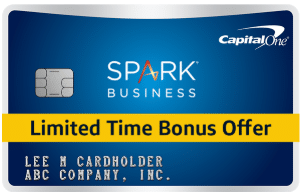 See full Spark Cash for Business from Capital One review here. This card is one of five cards in Capital One’s Spark collection of business cards and focuses on travel rewards. This card is ideal for small businesses with a range of expenses in other spending areas but who still spend money on travel, even if it’s only a few times per year. The Spark® Miles card allows businesses to earn unlimited 2X travel miles while purchasing any goods or services they already buy. This means that any purchases made throughout the year can be channeled toward offsetting (or eliminating) the cost of travel, which can be high. For example, an entrepreneur with a side business like selling clothes on the internet could use a Spark® Miles card to buy a new computer, pay for the eCommerce platform and processing fees, or buy inventory. Those miles could then be redeemed to cover the cost of a trip to visit a supplier and verify the quality of their products without creating a prohibitive cost. For a business like this, the Spark® Miles card is better than alternatives because it doesn’t, prioritize certain purchase categories, meaning even companies without extremely frequent air travel can still gain top tier travel rewards for when they do. When added to the regular travel miles earned, that equates to 300,000 travel miles in just six months. The consensus is that this equals around $4,200, making this a uniquely generous rewards card in the first few months. See full Capital One Spark Miles for Business review here. While it’s true that the Spark® Miles card from Capital One has great rewards for everyday purchases, the 1.5X points for non-travel purchases offered with the Business Advantage Travel Rewards World Mastercard® is still impressive. When the 3X points on travel booked through the Bank of America Travel Center (which works with Expedia) are factored in, this card begins to look significantly more attractive to frequent travelers. This Bank of America card may suit l businesses with regular spending in a range of areas – such as office supplies, technology costs, and shipping – who travel often but have fairly low overall spending requirements. See full Business Advantage Travel Rewards World Mastercard review here. All the rewards for this card are heavily geared towards encouraging travel. 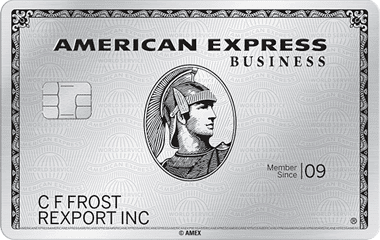 See full Amex Business Platinum Card review here.